The 41st Annual Seattle International Film Festival opens on Thursday, May 14, with the opening night gala presentation of Spy, and completes its 25-day run on Sunday, June 7 with The Overnight. In between there are (at last count) 193 feature films, 70 documentary features, 19 archival films, and 164 short films: all told, 450 films representing 92 countries. 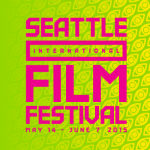 Here is Parallax View’s coverage and guide to SIFF resources for all 25 days. A few short takes on SIFF offerings on the debut weekend of the biggest, longest film festival in the United States.